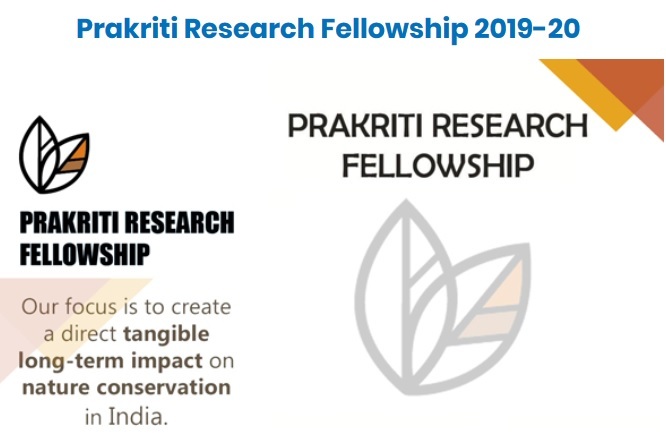 The Prakriti Research Fellowship is a small grants program focused on creating direct, tangible, long-term impact on nature conservation in India. ** We are looking for applications from independent researchers and small NGOs, especially self-motivated, passionate researchers and small conservation groups. ** The applicant must be an Indian national. Just follow the below steps to apply for the Prakriti Research Fellowship 2019. Step 1 : Go to the official website of CARPE India provided above. Step 2 : Read the instructions carefully and click on the “Apply for Prakriti Research Fellowship” link. Applications are invited under two categories which are based on the geographical location of the projects, while the themes are the same for both the categories. Category One : Projects located in Aurangabad division of Maharashtra ( which includes Aurangabad, Nanded, Beed, Jalna, Latur, Hingoli, Parbhani and Osmanabad districts). 1) Conservation of important habitats (e.g. UNESCO Natural World heritage sites, Protected Areas – National parks, Wildlife Sanctuaries, Conservation Reserves, Community Reserves, Marine Protected Areas, Biosphere reserves, threatened and neglected habitats such as grasslands and freshwater systems). 2) Conservation of Threatened Species (Wildlife Protection Act Schedule 1 species)(IUCN Red list categories: CR, EN, VU, NT, Data deficient). 3) Research and action in Urban Ecology- Most Indian cities are facing an environmental crisis of various scales and dimensions. 1. How long will it take to announce the selected projects? The decision of the reviewers will be communicated to every applicant via email within 3 months after the final submission date. In case you do not hear from us after this period, you can drop us an email. 2. Can I apply again if my application is rejected? Applicant can only apply for funding for a single project in one call for proposal. If rejected, a new application can be submitted in the following call. 3. What projects will not be funded? ** No litigation/activism will be funded. 4. How is the fellowship concluded? The reviewers will give comments on your final report. After working on comments, the fellows will need to come to Aurangabad to present their results, and submit the final report to the sponsor and CARPE to complete the fellowship. Sponsorship to cover travel and accommodation costs will be provided on a need-basis. Since yesterday, I am trying to send the fellowship proposal but unable to send. Kindly suggest the another email (or) the other way.